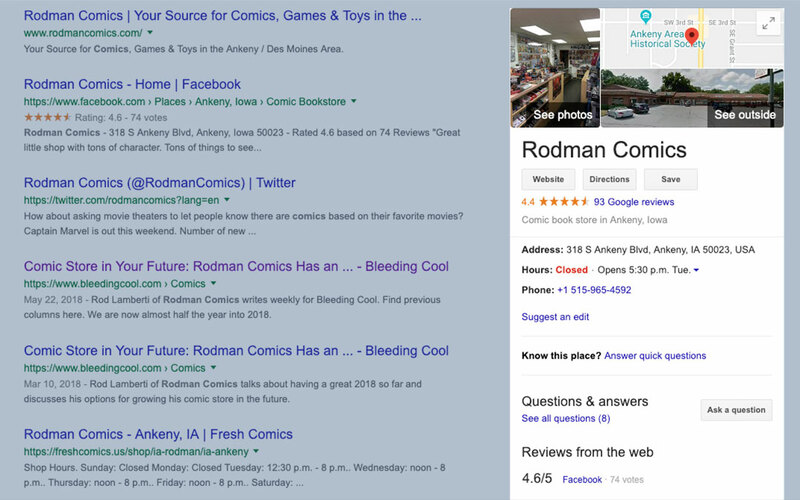 This week’s column appeared on Bleeding Cool where it was called: Managing Your Shop: How to Set Up Google My Business for Your Comic Store. This post is part of our Managing Your Shop series. I could write about seventy five posts on SEO, the good, the bad, and the ugly, but today we’re going to focus on how to help people find your location with a short little “How To”. This tutorial should take you no more than 15 minutes, and is one of the most important things you can do to make sure you can be found. At the end I’m going to give you a few bonus tips on adding some features that will ensure you get better traffic as well. Google My Business is a way to show your location, your hours, events, and info about your location, it also lets you showcase photos about your store, and gives customers a way to review your business. You will see it in the sidebar when you do a search. On mobile it is the first thing that shows up, so it’s incredibly important. Here’s an example of a listing from friend of Bleeding Cool – Rodman Comics. The information there is incredibly important, and it’s dynamic. When Rodman Comics is closed, you see an indication that the shop is closed, and it tells you when it’s next open. Visit Google My Business and Sign In with a Google Account. That’s it, it is a really simple process that is one of the most important things that you can do. You could stop here and consider it done, but there’s a couple more steps that will really boost your profile. After you have set up your profile, there are several things you should do such as add your store hours, add store information, and add photos showcasing your store. The Info Section contains a bunch of different little features that you can use to make your shop really stand out. These include phone numbers, website URL’s, your info, and your hours. Scroll to hours and enter your shop hours. Below hours are “Special Hours” which is for shop closures and, holidays, and the like. This can take up to 48 hours to appear on your listing, so make sure that you update the hours frequently. Scroll down to “Add Business Description” and add some descriptive text about your business. You’ve got 750 characters here, so you can be descriptive. Here’s a little pre-written format for your business description, just add some details and ship it! 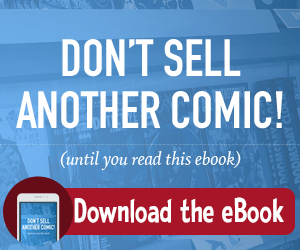 Acme comics is *your city’s* one stop shop for *your product mix* featuring *unique attributes about your shop* and *something cool*. We’ve been in business since *year* and look forward to seeing you at our *name of location*. Photos and videos make your listing really stand out, and gives you a chance to show off your store’s unique features. Before taking photos, make sure to stage the location by organizing everything, keeping bright lights behind the camera, and making everything presentable. Add interior and exterior photos. If you have an event happening, adding it to your My Business listing will help it get promoted. Write your description of the event, your description can also have a URL if you have a web page with more detail. Add a photo, photos make your event stand out on your listing. When Reviews start showing up on your My Business profile, it’s important that you respond to reviews as that shows that you’re committed to customer satisfaction. It’s also just the nice thing to do. Search engines like this behavior and you’ll be rewarded for it. That’s just the tip of the iceberg when it comes to promoting your shop online, and there are tons of other services you can also use including Bing for Business, Yelp for Business, and many more. 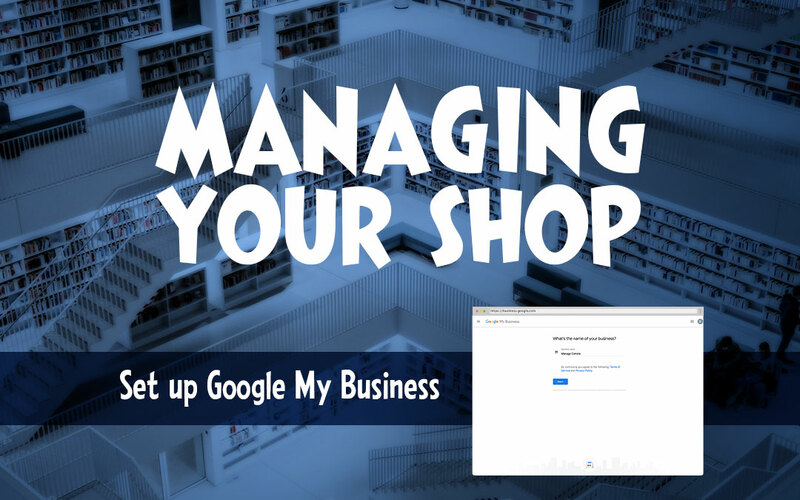 Getting started with a Google My Business account though is an important first step, and will make a large difference for how people can find you.